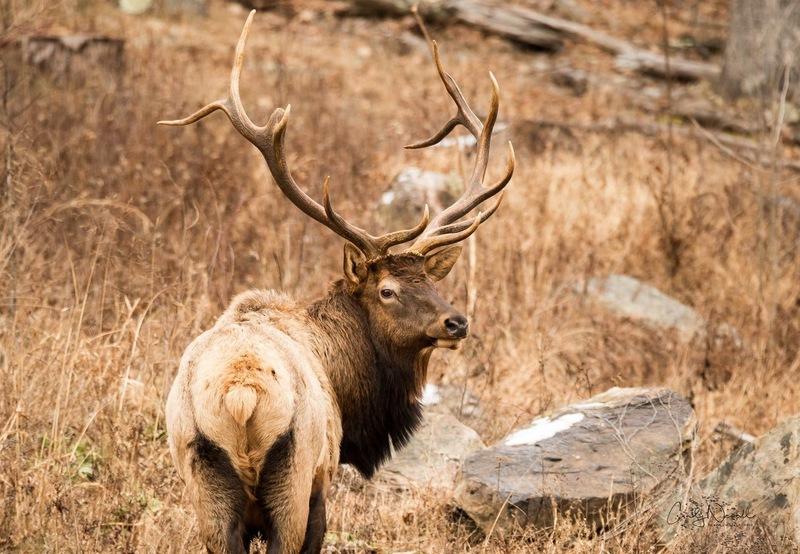 Few once-in-a-lifetime journeys anywhere in the United States are quite like the Elk Scenic Drive in the Pennsylvania Wilds Elk Country, home to the largest free-roaming elk herd in the northeastern United States. With male elk (bulls) standing five to six feet high at the shoulder, carrying racks six-feet wide, weighing upwards of 1,000 pounds, they dwarf our whitetail deer. Eastern Elk once flourished in the Pennsylvania Wilds, but by the early 1840s elk populations dwindled due to over-hunting and loss of their dense woodland habitat. By 1851, only a few could be found in the Allegheny Mountains. The last Eastern Elk was shot in Pennsylvania on September 1, 1877 and the animal was officially declared extinct by the United States Fish and Wildlife Service in 1880. More than 30 years later, between 1913 and 1926, the Pennsylvania Game Commission introduced more than 175 Rocky Mountain Elk to the commonwealth. The herd today has swelled to an estimated 1,000, with a range of 3,000 square miles. People from across the United States travel to the Pennsylvania Wilds to get a glimpse of these enormous creatures. Despite the remote mountainous terrain, accessing Elk Country isn’t difficult. There is easy access to the Elk Scenic Drive from Interstate 80, whether you are coming off I-80 at exit 111 (Route 153) to the west (30 minutes/25 miles to Benezette) or exit 147 (Route 144) to the east. (40 miles/54 minutes to Benezette). 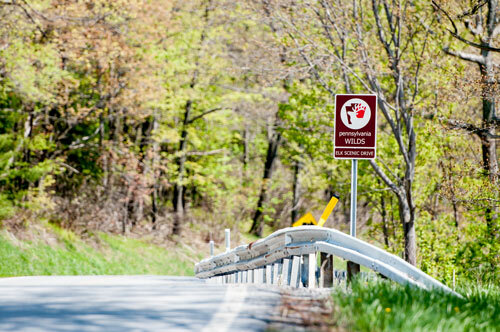 Also, when heading west on I-80, exit 178 brings folks to Route 220/180, which connects to Route 120 in Lock Haven, recently designated as part of the Elk Scenic Drive. Lock Haven is about 68 miles or a 1 hour 20 minute drive from Benezette. Heading eastbound into Benezette from St Marys it will take you approximately 32 minutes/20 miles (Routes 255 and 555). From Renovo to Benezette, plan on a nearly one hour drive spanning 44 miles (Route 120 to Route 555, which you’ll pick up in Driftwood), and if you are coming in from the from Emporium to the north, it will take 45 minutes/35 miles (Route 120 to Route 555, Driftwood). Elk Scenic Drive map courtesy of the PA Department of Conservation & Natural Resources. Downloadable version linked below. 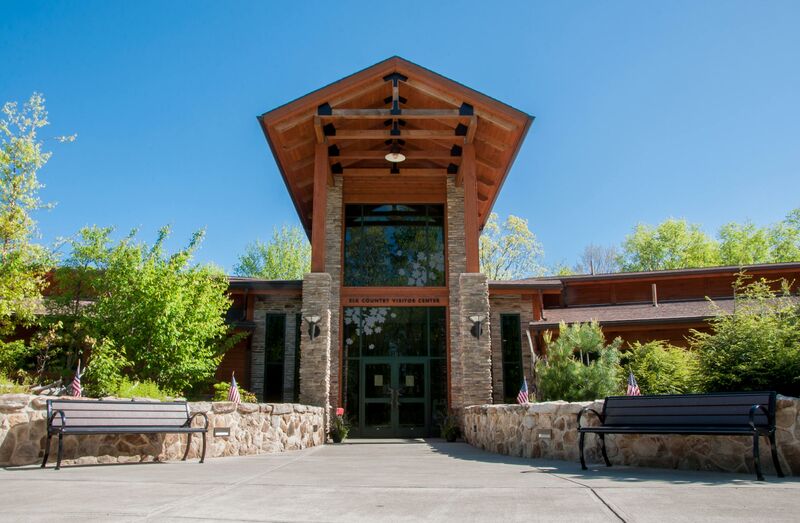 The Visitor Center and grounds comprise a sprawling 250-acre site. Here you will learn all about the Pennsylvania Elk herd through interactive exhibits, remote viewing cameras, an immersive 4D theater that touches your sense of sight, sound and smell, all coming together to enhance your viewing and learning experience. There are also plenty of activities for the kids. Money spent at the visitor center gift shop goes a long way in supporting elk conservation efforts with every purchase you make. Grab a detailed map of the scenic drive at the Elk Country Visitor Center because it will certainly come in handy as you set out. Upon leaving the Visitor Center you could see elk almost anywhere along the scenic drive, but here are some of the more popular viewing areas: Winslow Hill, Dents Run. Hicks Run, Wykoff, Hoover Farm and Beaver Dam. Don’t forget your viewing map. You’ll want to visit all the viewing locations, or as many as you can. Timing is everything. Elk are most active the hour or two after dawn or an hour or two before dusk. Safety First. Never attempt to approach, touch, or feed the elk. Keep a safe distance. They are quick and unpredictable free-roaming wild animals. Traffic Control. This is a busy place. Large weekend crowds can be expected right up until the first of November. Don’t stop in the middle of the road or block traffic. The Rut is on. (But only until mid to late October.) Elk are visible year-round, but this is the peak viewing season coinciding with the Elk Rut, mating season, which lasts approximately through Columbus Day. Large weekend crowds can be expected right up until the first of November. Enjoy yourself, and your journey along the Elk Scenic Drive! Learn more about Elk Country and the Pennsylvania Wilds elk herd by downloading this detailed map and informational brochure developed by the PA Department of Conservation & Natural Resources.